Activists in Kosovo have hung hundreds of ties on a fence outside a government building in the capital, Pristina, to protest against a pay rise for the country’s prime minister. 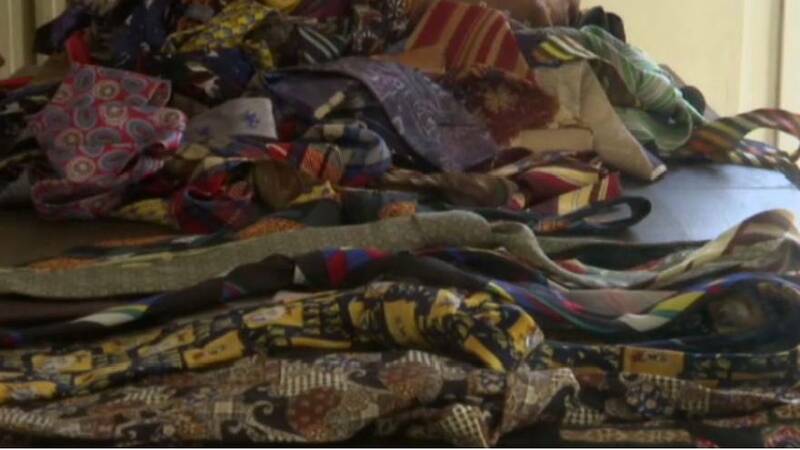 Kushtrim Mehmeti of US-based NGO Beyond the Walls said activists launched a social media appeal to collect the ties after Prime Minister Ramush Haradinaj said in TV interviews that he needed the additional money from a doubling of his wages last week for new ties and shirts. The activists collected 214 ties and hung them earlier this week on the fence around Haradinaj’s office building. Kosovo is one of Europe’s poorest countries. The prime minister’s monthly wage now stands at 2,950 euros a month, compared to average monthly earnings in Kosovo of 354 euros.